If your business has become a success over the years then you might consider the option to expand by buying other businesses. Buying other businesses allows you to diversify your interests or simply open up businesses in other locations. There are a few points to be considered and you may want to consider the option of buying businesses that are struggling. If your company is running smoothly and bringing in a nice profit then you may wonder what the point of expansion is. Expansion will mean more work, could mean more risk and there is no guarantee of success. However, if you do run a successful company expansion can mean greater profits and a larger consumer base. If you are considering buying businesses as an ongoing concern then you need to undertake some research on why these businesses are actually selling up. Why this company is failing? Do you have the expertise to turn this company into a success? Will there be any benefits to yourself such as tax breaks? Should you wait until the company goes bust or buy it before? Can you find the necessary funding to buy another company? What assets will be included in the sale? All of the above issues and many more will need to be considered but time will usually be a factor, especially if other parties are interested. If you are cash rich and the economy is in a downturn then there are always good opportunities to make an investment in this way. Another option is to keep an eye on your competitors with the intention of buying them out. If your competitors are struggling then buying their businesses at a low price may be an option. It will allow you to expand your own company over a greater geographical location and gain a larger slice of the consumer audience. Again you will need to research exactly why the company is failing. If you are considering this option then you may want to consider taking some advice from business consultants. 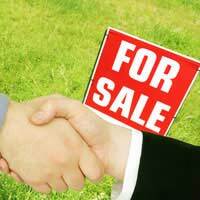 Consultants will be able to give good advice on the feasibility of buying to expand. The internet has been a major boost for buying up domains and websites online. Location is not a problem when it comes to the online businesses unlike traditional business expansion. Sales can go through very quickly and domains can sometimes be bought cheaply, although not always. There are sites available that will have a list of domains and websites for sale and it does seem to be a buyer’s market. Buying domains can be a good investment and you will have the rights to the domain for life. Remember, the closer the domain name is to your own company name the better. The internet is one of the best and cheapest ways to expand a company. Britain has the second largest amount of online shoppers of any country in the world so the potential is huge. The more websites you can take over the more potential customers you can reach. Websites that are already generating profits will cost more but will already have customers set in place. This is an investment worth considering if you are intending to expand your company. Buying to expand your company can be a risky venture and will usually mean a lot extra work. Careful consideration will be needed to work out all of the benefits and disadvantages of buying an existing company. Taking advice from consultants will be beneficial and should ensure that you make the right choice if you are considering this option. Can You Use Business Franchising?